. The coziest corner to curl up on these grey days from @victorycottage .
. Vintage-style graphics with the most amazing bunch of faux flowers from @the_disney_dwelling .
. 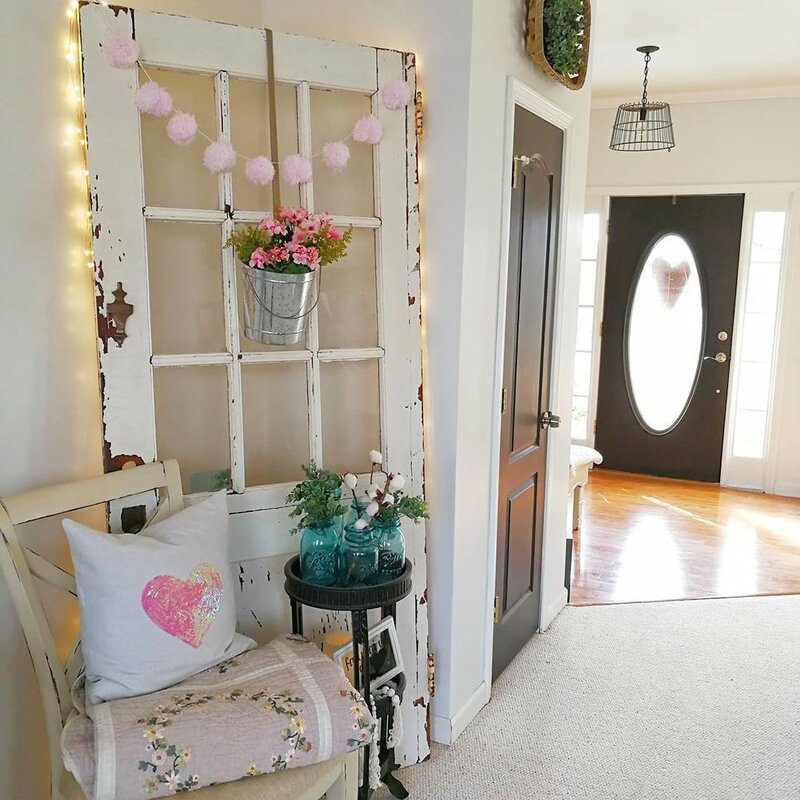 This sweet charmer of an entry with a sequened heart pillow from @southernspangled . Be sure to check them out!! You will not be disappointed. This meeting of #pillowsociety is now adjourned. Can't wait to see you all again next week! !